Photographs and text by Jean Pagliuso. Damiani, Bologna, Italy, 2018. 224 pp., 153 illustrations, 6x8¼x¾". 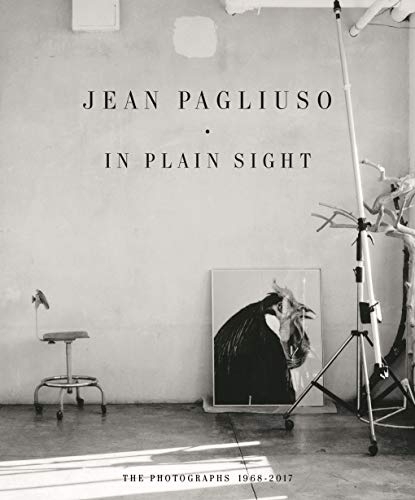 In Plain Sight surveys the multifaceted career of photographer Jean Pagliuso (born 1941). Pagliuso began her career in fashion, shooting for magazines like Mademoiselle, and rose to collaborate with film studios and directors, taking photographs on the sets of movies like American Gigolo and Three Women. In the mid-1990s, Pagliuso shifted to experimenting with photographic printing processes — a concern that still animates her work — but her experience in the fashion and motion picture industries continues to inflect her photography, imbuing it with a subtle sense of theatricality. Whether Pagliuso is photographing the expansive deserts of New Mexico, the pyramids of Egypt, fashion models or chickens, she produces engaging and ethereal images with an indelible presence. This comprehensive monograph on Pagliuso’s career of over five decades features an introduction and personal essay by Jean Pagliuso.